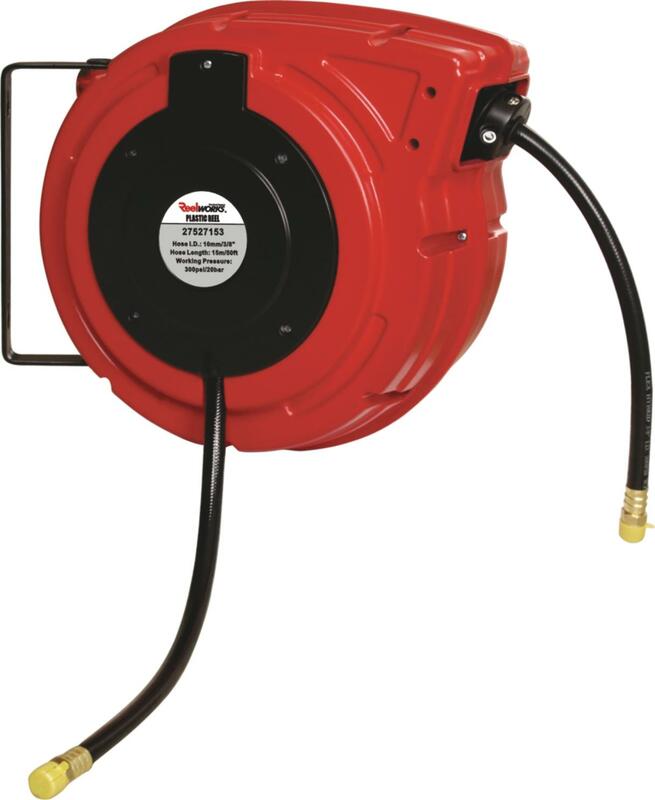 The 2752/2753 compact spring rewind hose reel is constructed in durable impact resistant polypropylene. Supplied complete with 15 metre super flexible Hybrid polymer hose, 1.5 metre inlet hose and integral pivoting wall bracket. The compact size makes this reel ideal for use in smaller workshops where space is limited.